Hi, Welcome on our English page ! We’re please to provide our English speaking fans with this page to help them navigate easily on our website. This page is also dedicated to our Anglophone founder members in honor of their contribution and support in building the Social Club. Salsa LOca’s adventure started in 2009 with a series of multicultural parties organized by a group of newcomers in the Gatineau–Ottawa region in order to create bounds between themselves and connect with the people of their chosen community. Due to increasing popularity of their events, they created a social club and opened their activities to the public. Salsa Loca has also become a cultural space where the world can be discovered trough music, performance and workshop. For more details on Salsa Loca’s history, please click here. 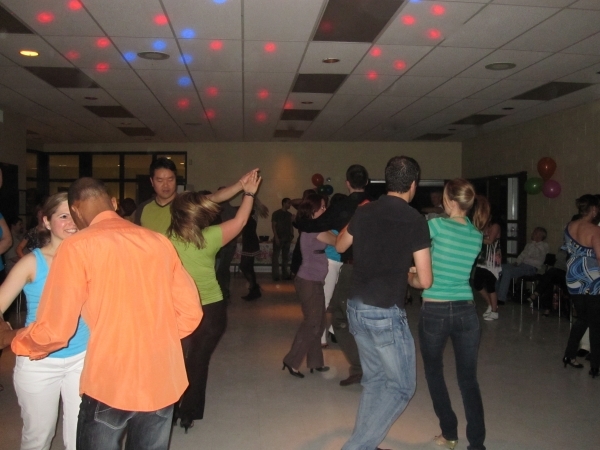 Regular Salsa parties usually held at Parc Moussette (Centre Communautaire Tétreau) in Hull. Visit the photos and videos section for more insight. Dance lessons and workshops on Latin, Caribbean and Afro-Latin-Caribbean dances. Visit our French page for schedule. DJ services, shows, workshops, for all type of events. Multicultural event organization and management. Location to get the addresses of our regular teaching and party venues. Photos and Videos to get a better insight of our activities. We’ll be happy to talk to you !